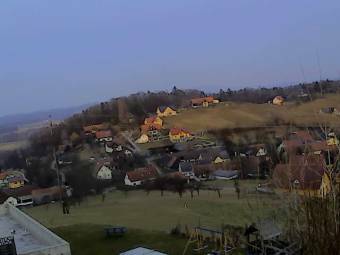 Webcam Kraubath: View from the Panoramahof - A view from the Panoramahof Kleier in Kraubath. Dobl: A2, ahead of AST Lieboch, 7.2 mi. Weitendorf: Traffic A9 Pyhrn Autobahn at AST Wildon, 7.5 mi. Lieboch: A2, at AST Lieboch, 7.7 mi. Kasten: Traffic A9 Pyhrn Autobahn at AST Werndorf, 8.4 mi. Lebring: Traffic A9 Pyhrn Autobahn at AST Lebring, 8.5 mi. Sankt Stefan ob Stainz: A2, ahead of AST Mooskirchen, 8.8 mi. Mooskirchen: A2, at AST Mooskirchen, 9.1 mi. Schachenwald: Traffic A9 Pyhrn Autobahn at AST Kalsdorf, 9.3 mi. This webcam Kraubath with the theme Landscapes was added on June 14, 2013 and is operated by Panoramahof Kleier. It got 614 visitors since then. Shouldn't this webcam work or should the link be wrong please report that here. You can add this webcam here to myCams.